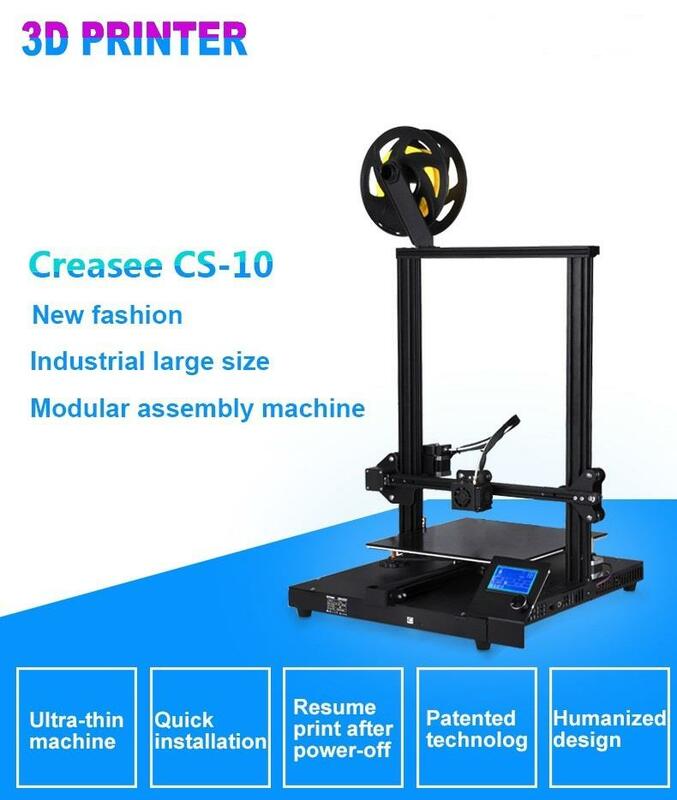 Compatible with multiple printing filament of 1.75mm: PLA, ABS, TPU, Copper, Wood, Carbon fiber and other common consumables. 1.Half-assembled, just need 10 minutes to assemble, solve the problem of high freight. 3.Patent technology for XYZ aluminum V-slot bearing + precision roller with high positioning accuracy to make it run smoothly and get higher quality product. 4.Simple design, easy to make, to avoid the cumbersome installation. 5.Patent MK10 nozzle extrusion structure can print more printing material without block. 6.Electronic control host was separated from the printing body, in order to meet the needs of refitting printing size to various specifications according your imagination. Large printing size 400 * 400 * 400mm, High Printing Accuracy ±0.1mm for smooth and exquisite printing models. Updated Filament Run-out Detection & Resume Printing Function. Compact & Sturdy structure: Special Aluminum Alloy frame, high quality stiffened parts: MK10 nozzle extrusion, V-slot bearing, high-precision roller, dual lead screws. Industrial-grade PCB allows continuously printing with stable performance. 0.4mm nozzle, printing speed Max. 160mm/s for high working efficiency. Supporting memory card off-line printing, can also print directly from computer via USB(2.0) cable. 1.We provide best quality products and very competitive price on the market. 2. Our target is to build a long term business relationship with our customers. 3. And overseas agents are welcomed. 4. Outstanding quality is our promise to every single customer. 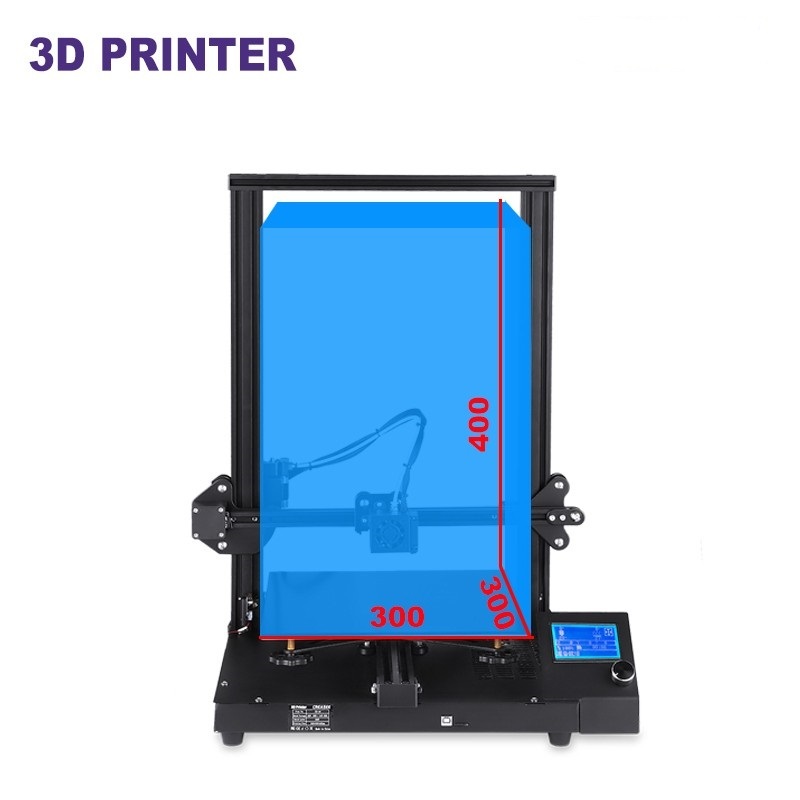 Shenzhen Qihang electronics Co ltd has involved in 3d printing field since 2014. manufacturing FDM filaments and 3D printer. We have 70 emplyees in factory, 25 of them are R&D team members. The factory's production has been automated. 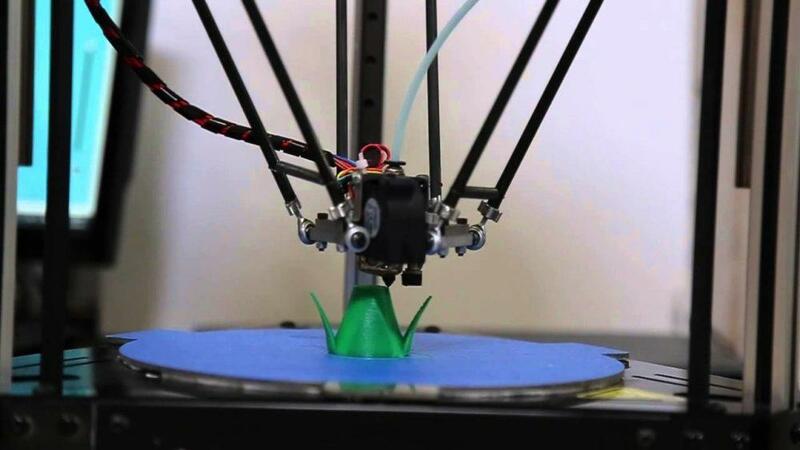 Our company is extreamly emphasis in new filament and material technoogy development. Our main market is: USA, Europe, Russia, Australia etc. We promise to provide high quality and best serivce to all of our customers.